Safe habitat: Only about 1,500 tigers remain in India. With only about 1,500 tigers remaining in India, the ministry of environment and forests has taken another step towards protecting their habitat—but the move comes just before another government measure might give forest resources to people. The guidelines for the creation of critical wildlife habitats were approved on Wednesday, and now go to the states for implementation. State committees will have to relocate the inhabitants of the nation’s 28 tiger sanctuaries. The Centre has also announced a package of more than Rs4,000 crore for the rehabilitation. “About 800-1000 sq. 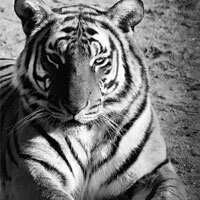 km is required for 20 breeding tigresses. This is the minimum inviolate area required to protect them," says a senior government official who did not wish to be identified. The Wildlife Institute of India, along with the ministry and chief wildlife wardens of the states, devised the scientific framework. India’s 28 tiger reserves, with eight more proposed, and 604 sanctuaries and national parks constitute about a quarter of total forest land. A central committee will determine the boundaries. These guidelines are timed close to an imminent formal notification of the Forest Rights Act. Within government quarters, a debate is raging on how the critical wildlife habitats will fit with the regulations and spirit of the Act, which mandates that rights of people in these areas be recognized. “The people, as well as conservation, are equally important," says Ravi Singh, secretary general and CEO, World Wildlife Fund India. “We have been calling for settlement of right for a long time and the govenrment needs to do it. There is no escape."